Alicante’s history started between 5000 and 3000 BC, when hunters crossed from Central Europe. The first settlement was on the slopes of MountBenacantil, where today the Castillo de Santa Barbara is still standing. In 1000 BC Greek and Phoenician tribes made there way into the eastern coasts of the Peninsula. In 600 BC rivalling Roman and Carthaginian tribes moved into Spain and fought over the area. The Carthaginians eventually had control of what is modern-day Alicante and began to build their city. After some time they could not stop the powerful Roman armies, who finally took over and ruled the land for many years. The Moors took over control of the area after neither the Romans nor the Visigoths defend against them. They brought many riches to the land, that are still of great value today, such as: rice, oranges and techniques in art and architecture. Over the next few centuries, the Moors ruled much of Spain, especially the east and south. They finally lost control to the Spanish kings during the Reconquist in 1246, but not long after, it was passed on to the Kingdom of Valencia in 1298 under the reign of King James II of Aragon. 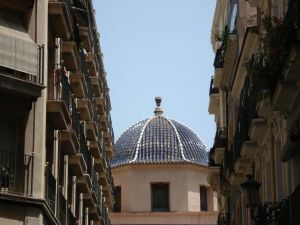 Alicante benefited from their golden age in the 15th century, as well as the entire Kingdom of Valencia. It was striving to become a key trading station for the Mediterranean, However from 1609 – 1614 King Felipe III banished thousands of Moriscos, which cost this region progress as so many skilful artisans and agricultural serviceman were expelled and slowly but surely bankruptcy was looming.. Things degenerated even further in the early 18th century Alicante, when the Kingdom of Valencia supported Carlos in the War of Spanish Succession. Felipe won, and penalized the whole region by confiscating the semi-autonomous status it had enjoyed since the time of the Reconquest. Alicante went into a long, slow decline, existing through the 18th and 19th centuries by making shoes and agricultural products such as oranges, almonds and fish. However there was a twist in the 19th century when the local economy increased international trade and the expansion of the city harbour maximised exports of numerous products. In the early 20th century Alicante was an unimportant capital that profited industrially and agriculturally from Spain's neutral position throughout the First World War. In the 1920s The Moroccan War started, which meant many citizens were drafted to fight the harsh battle between the two countries for Northern Morocco. The republicans gained political victory at this time in the local council elections. In the 1936 The Spanish Civil War broke out. Alicante was the last city loyal to the Republican government to be occupied by General Franco's troops. The city was the object of some nasty air bombings during the three years of civil conflict, most notably the bombing by the Italian Aviazione Legionaria of the Mercado de Abastos in May 25, 1938 in which more than 300 civilians died. When tourism in Spain started to gain popularity in the 1950s and 60s, Alicante was one of most frequented areas. Franco died in 1975, his successor Juan Carlos I, fruitfully oversaw the transition of Spain to become a democratic constitutional monarchy. There was some decline in the 1980s for the economy of the tourism industry, but today Alicante is blooming and attracts tourism all year round.